China Daily News/ReutersA policeman guards while confiscated drugs are burned during a campaign on the International Day against Drug Abuse and Illicit Trafficking in Shenyang, Liaoning province June 26, 2010. A hundred metres from the tiered, gold-tipped roof of the official border crossing between China and Myanmar in Ruili, an unofficial international trade zone thrives — across a 7-metre (23-foot) high metal fence that divides the two countries. Small groups of Chinese gather to buy cigarettes, coffee and Chinese medicines through the bars from Burmese stall-sellers. Farther along the road, a man in a red T-shirt crosses from Myanmar to China in bright daylight through a rectangular hole in the railings. China’s south-western province of Yunnan is trying to expand its imports from and exports to its land neighbours: Laos, Myanmar and Vietnam. It shares more than 4,000km (2,500 miles) of border with them. The Chinese are not necessarily keen to import all of its neighbours’ products, however. The liveliest trade is in drugs. Yunnan borders on the Golden Triangle, a region notorious for its copious output of narcotics. Locals on the Burmese frontier point to fruit trees that now grow where opium used to, but the quantity of drugs seized has been rising. 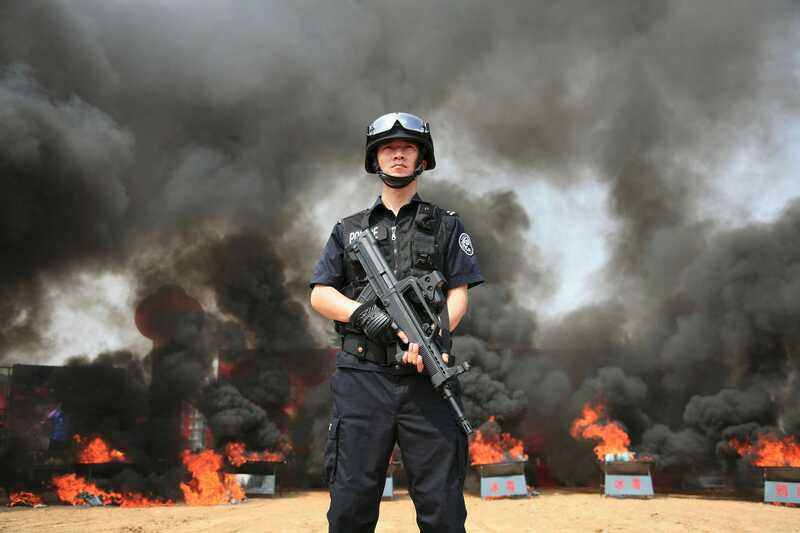 Yunnan’s border police confiscated 6.2 tonnes of drugs in 2013, almost double the amount in 2011. More than half the methamphetamine seized in China last year was from Myanmar and was seized in Yunnan. Drug smuggling between Vietnam and China, a lot of it through Yunnan, has risen sharply too. 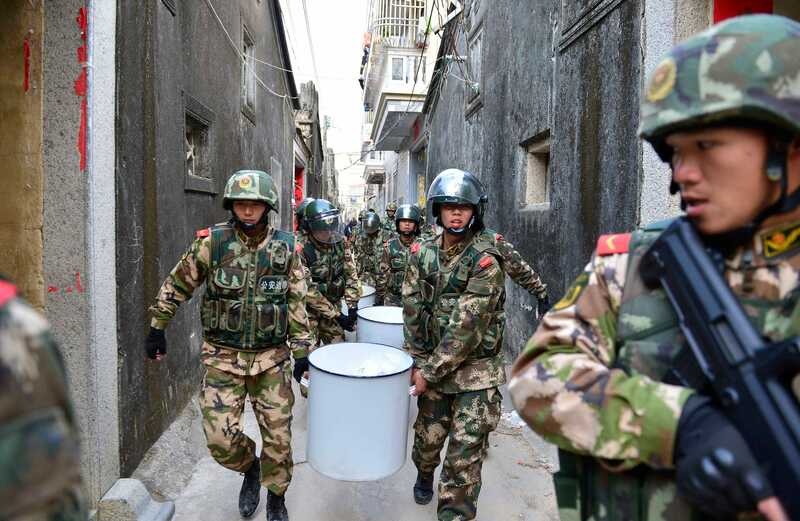 Stringer/ReutersParamilitary policemen carry seized crystal meth at Boshe village, Lufeng, Guangdong province, December 29, 2013. Other forms of illegal activity are rife. Weapons smuggling is on the rise; signs written on walls near the China-Laos border in Mohan advertise guns and ammunition for sale. Most timber entering China from Laos and Myanmar is logged illegally, according to a report by Chatham House, a London think-tank. Contraband goods flow from China too. A Burmese politician told parliament in October that more than four-fifths of the 4m registered motorbikes in Myanmar were illegally imported. Many traders consistently underestimate the value of goods they are transporting to pay less tax. Most insidious is the trade in people. On November 24th Chinese officers arrested a gang accused of selling 11 Burmese women as wives in rural areas for 50,000-90,000 yuan ($US8,000-13,000) each. In 2013 Yunnan border police found more than 100 trafficked people, and arrested over 6,000 others who had crossed the border illegally.